Tracy works with senior leaders, professionals, entrepreneurs, and emerging leaders as individuals, and with their associated teams and organizations as needed, on a wide variety of leadership, interpersonal, and career-related issues. She views professional development through the lens of core values and intentional impact: What do you care about, and how will you make it happen? 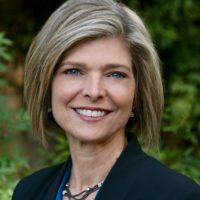 Due to her unique background in both law and business, Tracy brings an analytical rigor and strong results-orientation to her coaching and consulting work. She uses proven, research-based methodologies and a wide variety of tools to customize her approach according to the unique context and objectives of each client. In all interactions, she seeks to be of service, to support her clients in identifying and creating more of what truly matters to them.